Lilli Lehmann (1848–1929) was a German operatic singer (soprano), a voice teacher and an outstanding representative of German school of singing. 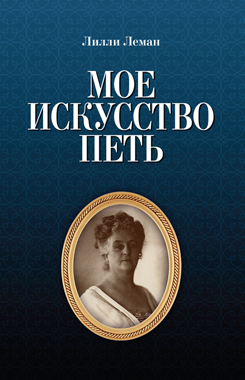 In the book «My art of singing» («Meine Gesangkunst»), first published in Berlin in 1902, the singer reveals her experience and reflections. The book was the main guide for singers for a long time. Lehmann discloses secrets of professional mastery, tells about nuances of vocal techniques: singer's physiology, breathing, sensations, timbres, registers, voice's equalization, pronunciation, expression, ways to keep voice's strength and elasticity. There are also illustrations of physical processes of singing. The book will be interesting for operatic and chamber singers, vocal teachers, students of music schools.